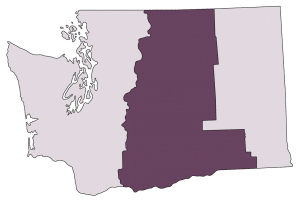 Washington wine country covers a wide area west of the Cascade Mountains from Walla Walla to Lake Chelan. As the second largest premium wine-producing region in the U.S., Washington now features over 900 wineries. Wine country has a drier, warmer climate than the areas west of the mountains. In the winter, the northern edge experiences plenty of snow for winter sports enthusiasts. Summer brings warm, sunny days, perfect for exploring this abundant region.